Dortmund - Matchday 2’s action in the Bundesliga winds down with a classic case of David vs. Goliath as Bundesliga newboys Eintracht Braunschweig travel to Signal Iduna Park to face Borussia Dortmund on Sunday evening (kick-off 17.30 CET). After defeat in their opening game of the campaign, Braunschweig could hardly have been handed a tougher test as they look to get their first points on the board. Dortmund, meanwhile, are preparing to entertain their fans at home for the first time this term, and are planning the inclusion of a certain Henrikh Mkhitaryan. 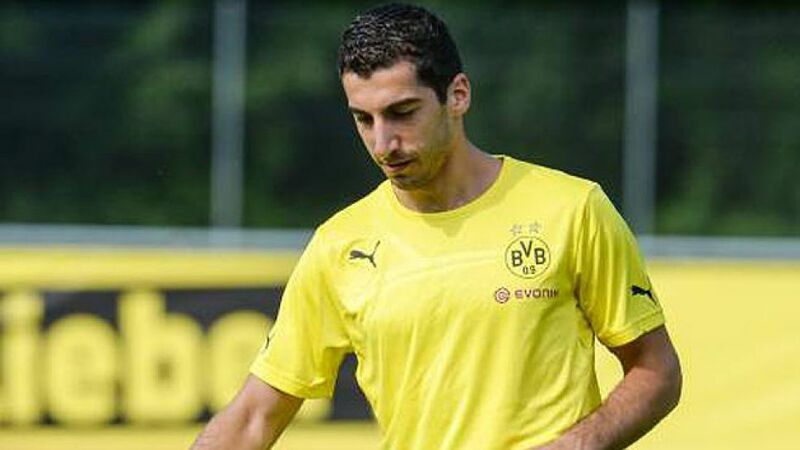 An ankle injury sustained last month forced Mkhitaryan to miss the start of the competitive season, and though BVB have not suffered without him, winning three games out of three, including the German Supercup against FC Bayern Munich and their opening league game against FC Augsburg, supporters will be aching to see the summer acquisition from FC Shakhtar Donetsk in action. In former times, this was a game between two of the Bundesliga’s proudest clubs. Both sides were founding members of the league in 1963 and Braunschweig even went on to become German Champions four years later. Incredibly, the last time the clubs met was way back in May 1985, the season that Braunschweig were relegated. Lieberknecht will know that his side is under no pressure whatsoever to deliver in Dortmund, and that these types of matches against the division’s big fish will not be the ones on which their survival will depend.